Quality is of cardinal importance for the Pakistan Air Force (PAF), quality of equipment, quality of training and above all the quality of its men. PAF is selective in choosing the right type of young men as pilots to fly modern aircraft. Those who are selected and successfully go through a high standard of academic and professional training can look forward to a rewarding career in General Duty (Pilot) Branch. Engineers selected in PAF play a pivotal role in maintaining and enhancing the operational efficiency of Air Force. They lead a team of highly skilled technicians to ensure that all weapon systems operate to the optimum capacity and efficiency. Without Logistic support, even a well-prepared plan cannot be properly executed. In this regard, a well-organized logistic system is essentially required in which meticulous and industrious young men render their services and make full use of acquired knowledge related to supply and operational activities. Accurate and rapid information / data processing is a prerequisite for all management, logistic and operational plans and their day-to-day running. Young men with talent for computer related work can lead to enjoyable gratifying life as IT officer in the PAF. This is an era of revolutions in the scientific world. The war has advanced from one-to-one fighting to nuclear and inter continental missile system and remote control weapons, with minimum reaction time. As Pakistan has strengthened its Army and Navy; it has also provided its Air force with latest aircraft like A-5, F-7, Mirage, F-16 and JF-17. Moreover continuous efforts are being made for the procurement of the latest aircraft. 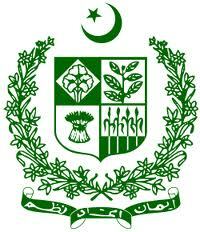 The aim is not only to make use of the latest military technology but to formulate an effective war strategy. The objective is also to train technical manpower, which is capable enough to exploit full potential of the available technology. Quality is the hallmark of Pakistan Air Force. 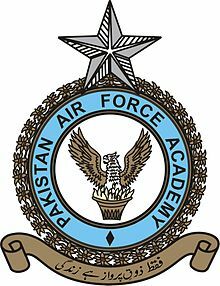 The selection system of PAF is designed to be lengthy & tough, as a result only capable individuals can be inducted. In order to maintain its traditions of professional excellence, the PAF is quite selective in choosing the right type of young men to maintain and support its sophisticated aircraft and equipment. Those who are selected and successfully complete PAF exhaustive and strenuous training can look forward to a rewarding, noble and honorable career. Well I Think It Helped you Guys!. Then Don't Think About it Just Join It!